The Salmonella Carrau outbreak linked to Caito Foods precut melon has sickened at least 93 people in 9 states. We asked lawyer Brendan Flaherty: how does Salmonella contaminate precut melon? He said, “This isn’t the first time that precut melons have been contaminated by pathogenic bacteria. In 2018, a Salmonella Adelaide outbreak was linked to precut melon that was also produced by Caito Foods. At least 77 people were sickened in that outbreak. And in 2017 a Salmonella Newport outbreak in Washington state and Oregon was linked to precut fruit sold at several grocery stores. “Fresh fruit is not a natural vehicle for pathogens such as Salmonella. Salmonella outbreaks are typically linked to foods like chicken. So the fruit had to be contaminated somewhere along the chain of harvest to production to transport. The bacteria could have gotten on the fruit from sick pickers or handlers, through irrigation water, by contact with animals or birds, or during the handling, processing, and transport stages through contaminated equipment. “Because the surface of these fruits is heavily webbed, it provides ideal hiding places for pathogens. It’s difficult to clean that surface, so bacteria can cling in little crevices. The Salmonella bacteria can even form biofilms, which protect them from cleaning. Then, when the fruit is sliced and processed, the bacteria moves to the flesh. Brendan added, “There is no question that pre-cut fruit manufacturers know about the risk of Salmonella contamination. That was true when we brought a lawsuit against Caito in 2018 outbreak, and it is doubly true today. 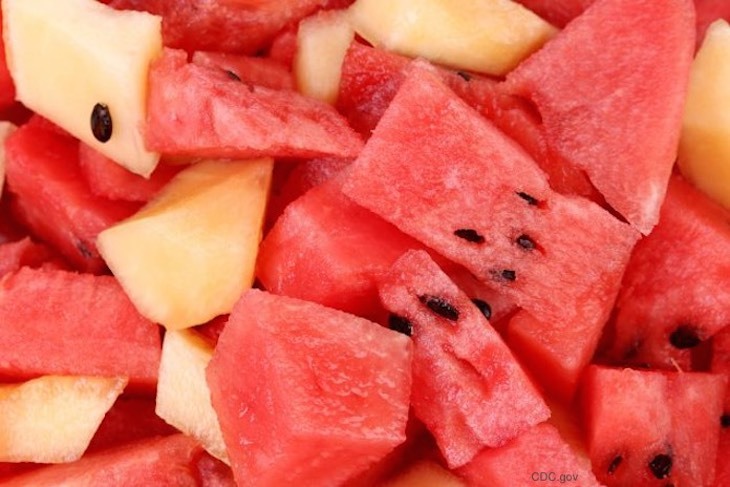 Caito Foods has recalled many different brands and types of precut watermelon, cantaloupe, and honeydew. The fruit was sold in independent retailers and grocery store chains such as Whole Foods, Trader Joes, Walmart, Amazon/Whole Foods, and Kroger in Illinois, Indiana, Iowa, Kansas, Kentucky, Michigan, Minnesota, Missouri, Nebraska, New York, North Carolina, Ohio, Pennsylvania, Tennessee, West Virginia, and Wisconsin. State departments of public health gathered information that Salmonella contaminate precut melon. The symptoms of Salmonella food poisoning include fever, nausea, vomiting, abdominal and stomach cramps, and diarrhea that may be bloody. Most people get sick within a few hours to a few days after ingesting the pathogen. And most people recover without medical treatment; however, in this outbreak, 23 people, or 24%, have been hospitalized. If you have eaten these products and have been ill, see your doctor. You could be part of this Salmonella Carrau outbreak. 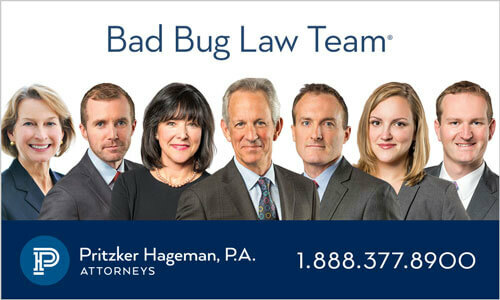 If you or a loved one have been sickened with a Salmonella Carrau infection after eating recalled Caito Foods precut melons, please contact our experienced attorneys for help at 1-888-377-8900 or 612-338-0202.